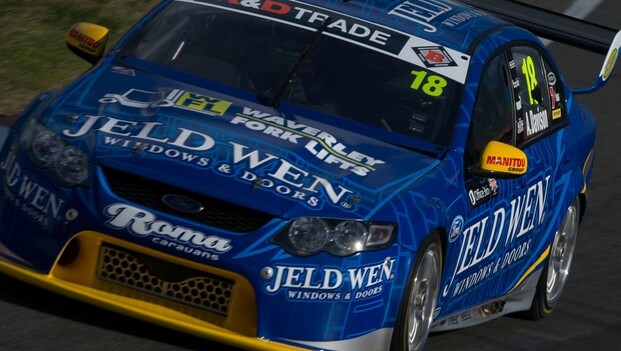 Qualifying tenth, JELD-WEN FPR’s Alex Davisonhas a top five finish in sight for Race Three of the Championship, thisafternoon at Symmons Plains. Davison, who found himself without a main game drivelast year, said he expected to be inside the top 10 this year, as he was in2011. “I’m reasonably happy with the way qualifyingwent,” Davison said. “Ultimately I want to do better than 10th but wedidn’t start the weekend off really strongly. We’ve improved solidly and it’smy best qualifying so far this year – so, we’re moving in the right directionand overall really happy with how things are going. Davison said the team has struggled a bit withcar performance, but every race meeting that they’ve gotten it “nearly right”,results have been better than expected. 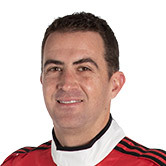 “Top five I’d be pretty happy with (today), sowe’ll see how we go. He played down the drama that may be associatedwith Race Three’s rolling start under the new 60/60 format. “I think the rolling start is not going to alterthe way we go about it too much. “Generally the further inside the top 10 youcan be, the safer you’re going to be – (being) out of the disaster zone isgoing to be especially important this weekend because it’s such a tight track andvery difficult to overtake. The 60/60 format means drivers will race for 25 laps before a half-time break. The cars will lineback up in the running order as of the end of the first half, in double filefor a rolling restart and another 25 laps of racing will follow. The order across theline at the end of the second half is the finishing order of Race Three and Championship points will be applied to that finishing order.